Yesterday, the Dutch Sociological Association (NSV) and the Netherlands Institute for Social Research (SCP) organized it’s annual Actualiteitencollege (“current affairs lecture”). The theme of this lecture was decentralization in care. Since 2015, the organization of long-term care has changed in the Netherlands; governments require more active participation from its citizens instead of passively relying on professional care. Based on scientific research, Peteke Feijten (Netherlands Institute for Social Research SCP), Marjolein Broese van Groenou (Free University of Amsterdam VU), and Jan Willem Duyvendak (University of Amsterdam UvA) responded to the question whether ‘close proximity’ is always better in case of long-term care. The host of the whole afternoon was Kim Putters, head of the SCP. 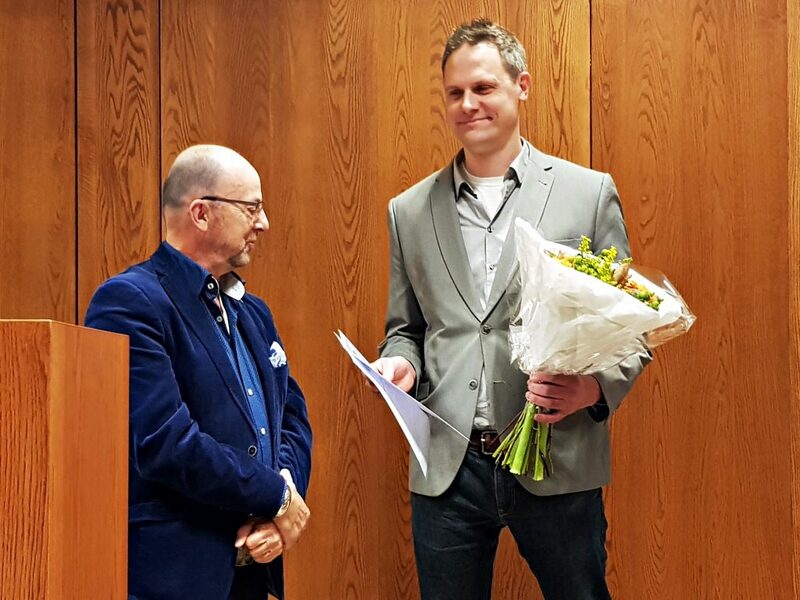 After the academic sessions, Paul Schnabel (University Professor at Utrecht University) awarded the Dissertation Prize of the Dutch Sociological Association – an event that I coordinated. 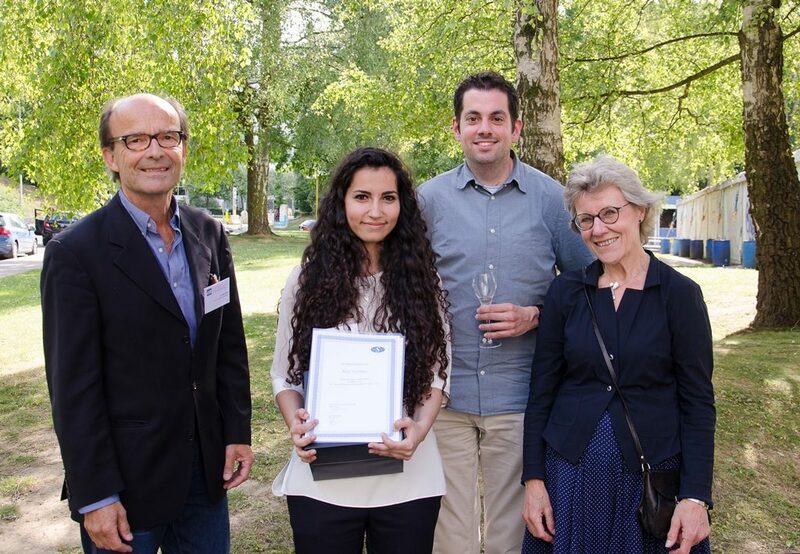 The Prize was given to “Studying the Dutch Business Elite: Relational Concepts and Methods,” written by Rob Timans. Congratulations! Schnabel’s laudatio can be retreived from the NSV-website. Last Wednesday, the Department organized a Student Research Day – a biannual event during which students present the results of their research. Together with Study Association Versot, we organized a meme contest. The idea was that students should create sociologically relevant memes. 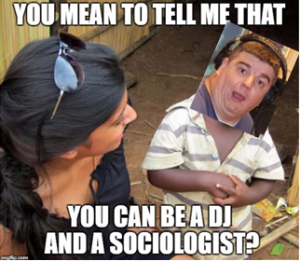 All submissions can be retrieved from the website I created: sociologymemes.eu. Important in a meme contest is that winners were assigned. A ‘professional’ jury – consisting of members of the Department and representatives of Versot – chose for Yvette Jacobs’ meme on the European Values Study. 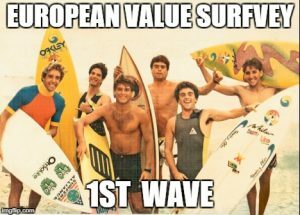 Inside joke, but when we refer to specific survey years, we talk about “waves”. The link to surfing – wave riding – is therefore not that far-fetched. The audience award – basically all students present at the Research Day – assigned the first prize to Mitchell Matthijssen his meme on colleague Bram Peper. Next to being a well-respected teacher within the Department (responsible for virtually Introduction to Sociology courses), he is also a deejay. Also at the end of the Student Research Day, Bram closed the event with a deejay-set. You can listen to it below! 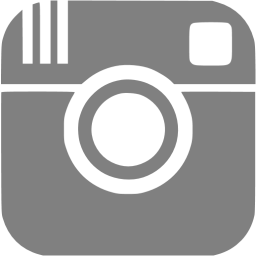 Don’t forget to check Tilburg University‘s newspaper Univers’ coverage about the meme contest! On Thursday 16 November 2017, Tilburg University will turn into Night University. Science and society are brought together during this annual fun event. Whereas I was hosting karaoke with Peter Achterberg the last two years, this year I will bring in a more academic focus. In a joint talk with Loek Halman, I will talk about generational effects in social values, based on the European Values Study: is it true that young people are becoming more conservative than their parents? Loek and I will be present in room SZ 31 (Simon Building) from 9:00-9:45pm. Entrance is free! During the same day, I will be a jury member during University’s Got Talent. This event is part of the Dies Natalis during the 90th anniversary celebrations of Tilburg University. During this event, 10 different acts (music, dance, debate, …) will try to conquer a place at Festival Mundial 2018! Together with Frank van Pamelen and Gino van Eijk, we will select the winner of this unique contest. More soon! Four months since my last update, yet life has been going fast. I decided to take a well-deserved summer holiday and I spent one month in Colombia. It will take many more blog posts to summarize how amazing this trip actually was. Several great memories that simply cannot condensely be written out in an academic blog. Many things have happened in the past four months. First of all, it is important that the Dutch fieldwork of the European Values Study is in the field. After a long trajectory of writing out a tender for fieldwork companies (and selecting the one with the best qualifications), translating the questionnaire, interviewer training, sampling designs, and so on, it’s with pleasure that I can add that the fieldwork has started about a month ago. The fieldwork is proceeding well, and response figures are heading in the right direction. In addition, Edward Elgar publishing has worked hard to print an edited volume I have contributed to. 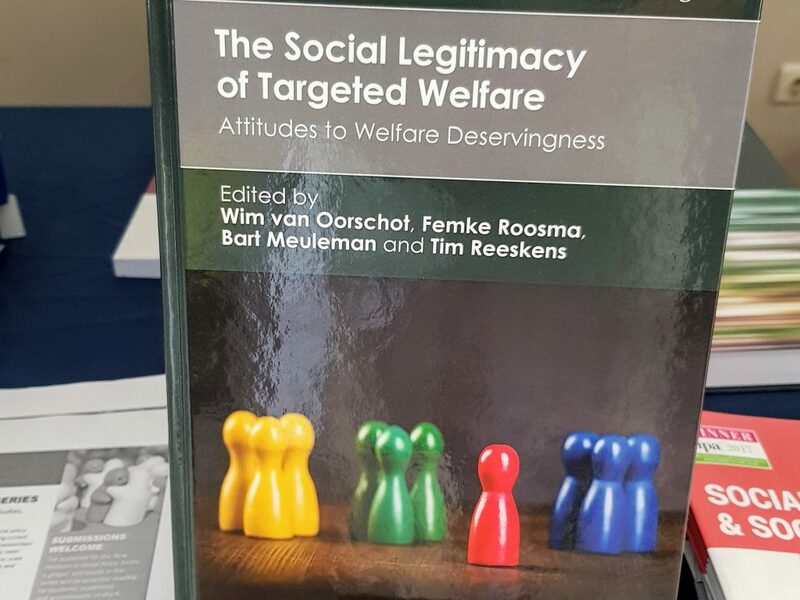 Together with Wim van Oorschot, Femke Roosma, and Bart Meuleman, I brought together seminal authors working on welfare deservingness. After quite some time reviewing and revising chapters, it is with pleasure to see the end product on the shelf. “The Social Legitimacy of Targeted Welfare. Attitudes to Welfare Deservingness” is out! At Tilburg University, the new academic year has started. For our Department, it’s an important transition, as we created an English track in the Bachelor program. We are pleased to host 16 students in the Bachelor International Sociology. The first bloc of the year started well: I’m teaching on social capital for 16 bright new students in the first year of the Research Master in Social and Behavioral Sciences. Next to that, I also teach the course “Diversity and Community” for about 30 students at University College Tilburg. In the Education Committee of Sociology, I made ‘promotion’ from staff member to chair. 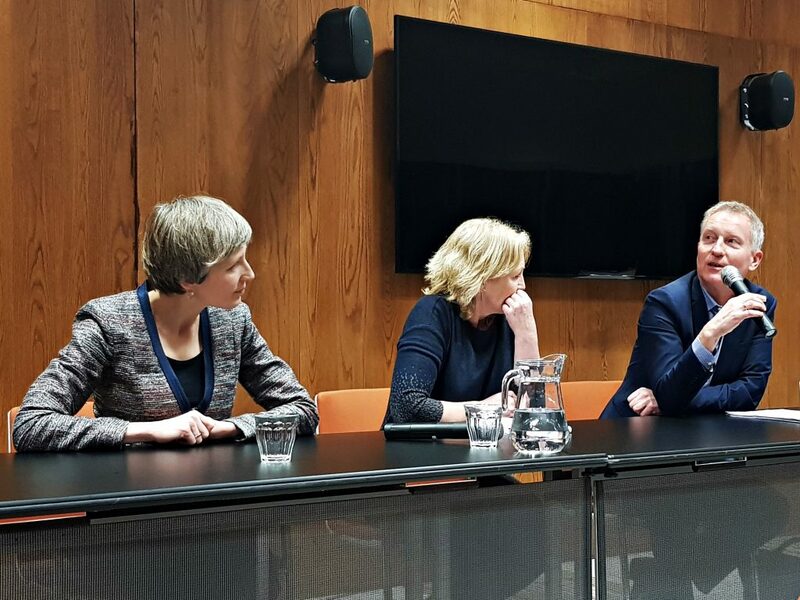 Apart of that, also the first Faculty Board with the new Dean has taken place, as well as the first meeting of the Dutch Sociological Association of the new academic year. Least to say things are moving fast! Last week, we celebrated the most important day for Dutch and Flemish sociologists, namely the Dag van de Sociologie at the VUB. One important moment during this annual meeting was awarding the NSV Master Thesis Prize to the best thesis of the year 2016. As board member of the Dutch Sociological Association NSV, I served as secretary for this prize. Chair of the jury was Geert de Vries. He awarded the prize to Kay Polidano (UvA) who wrote a magnificent thesis titled “Caring through a ‘Plastic Box’: An Inquiry into the Use of Remote Care Technology in Later Life”. The laudatio that Geert in name of all other jury members wrote can be retrieved from the NSV-website. The picture below was taken after the prize ceremony – credits go to Tom de Winter. From left to right: Geert de Vries (chair of the NSV Master Thesis Prize jury), laureate Kay Polidano, me, Rie Bosman (secretary of NSV). Yesterday, I celebrated my 35th birthday. Normally, not a big issue. This year, it was a bit different: the Department asked me to give the keynote lecture at the Student Research Day 2017 – a day where all our students present their research findings (the first year students present on their work for the Social Problems course, the second year students present findings of their Learning Project, whereas the Bachelor, Premaster and Master students present their thesis). I advertised to present my research on immigration and the welfare state. However, I quickly switched topic to something more unfamiliar but extremely timely: the sociology of birthdays! The presentation can be retrieved from SlideShare. Finally, after some months, the invited talk, hosted by Christian Fröhlich, that I gave at the Laboratory for Comparative Social Research at the Higher School of Economics (Moscow) has reached the surface. In this talked, I discussed the consequences of immigration for the welfare state. More specifically, I combined two papers in the presentation, namely first of all the question whether national identity is able to foster support for the welfare state, and secondly about the relevance of identity as deservingness criterion. After my presentation, we had a great discussion, followed by a lovely dinner at one of the Khachapuri restaurants, known for its delicious Georgian cuisine. The talk was filmed by Dmitry Zakotyansky (see picture below the clip) – thanks for that! 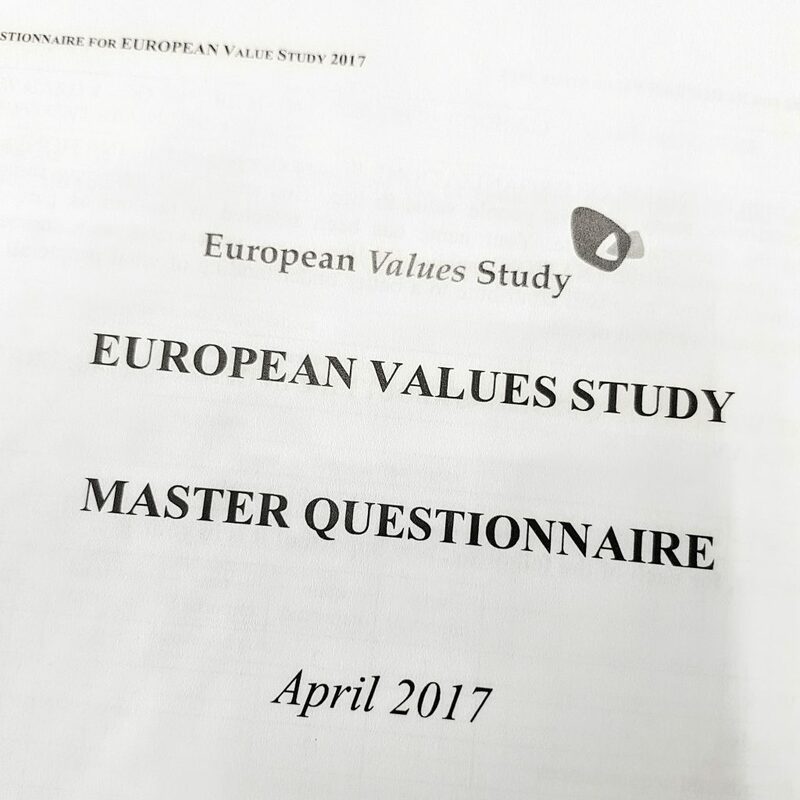 This week, the General Assembly of the European Values Study will take place in Athens. Being the European counterpart of the World Values Survey, the EVS is a large-scale cross-national survey on political and social attitudes carried out every nine years among representative samples of European countries. From this year onwards, I am the National Program Director of the Dutch fieldwork. In this role, I will participate in this EVS-meeting. The program on Friday is quite tight, with a discussion on the budget, the new questionnaire, insights on sampling strategies and the translation process, as well as information on how to collect data through web surveys. More information to come! 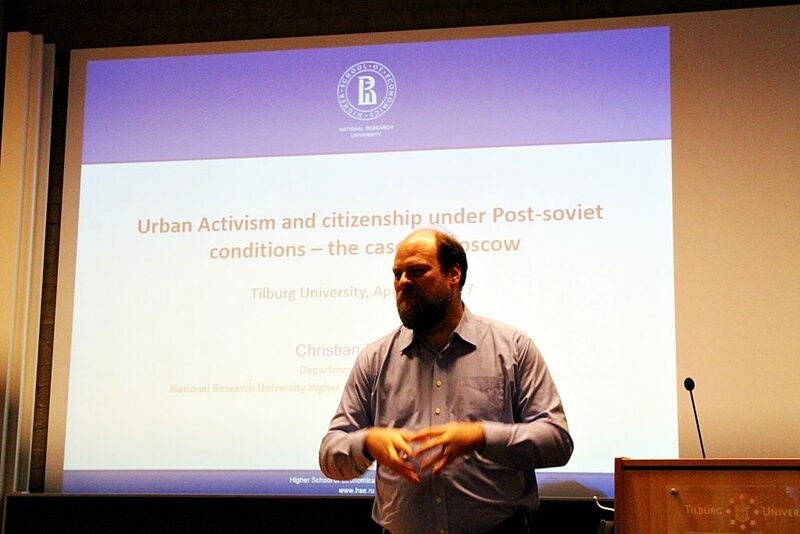 This afternoon, Christian Froehlich, Assistant Professor at the Higher School of Economics in Moscow, presented his research on Urban Activism in contemporary Moscow. Christian is in Tilburg on an Erasmus+ program – actually the same scholarship that brought me to Moscow in November to teach a course on Social Capital in the Master Program. Apart from presenting his research in the Sociology Colloquium, Christian also contributes to other courses this week, for instance Populism in Comparative Perspective and Values and Civil Society in Europe.